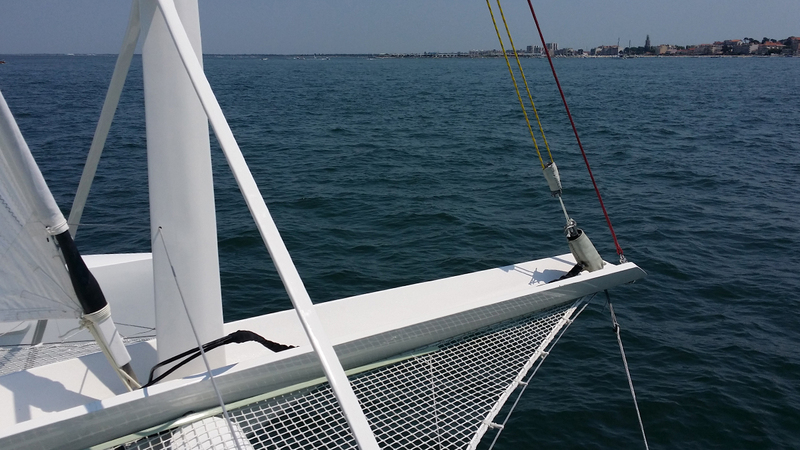 Carbon bowsprit is a system used to set an outsized sail on the yacht. 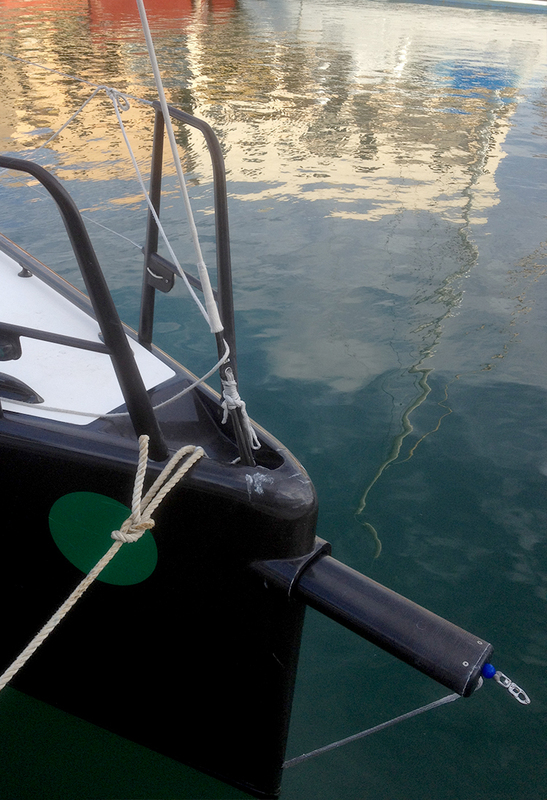 Particularly during sailing days with little wind, it avoid to sail with engine running and being bored. A touch pad panel to furl or unfurl easily. That is probably the most successfull product on the market. 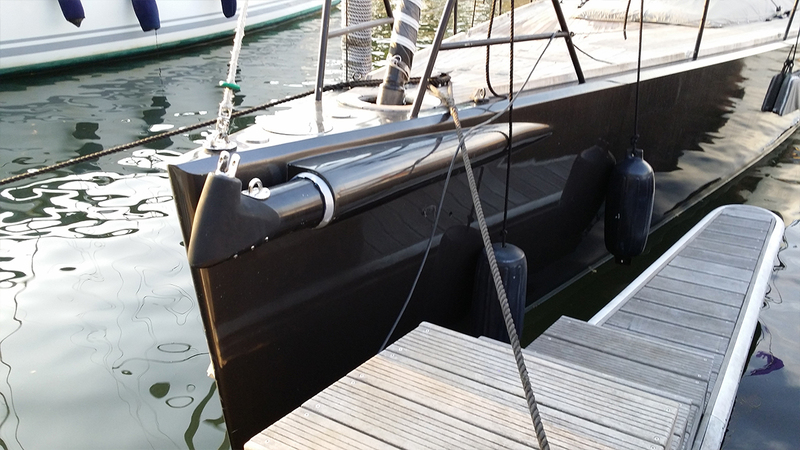 Integrated in the yachthull, this telescopic bowsprit is equipped of two hydraulic engines. – 1 gennaker in running wind angle. 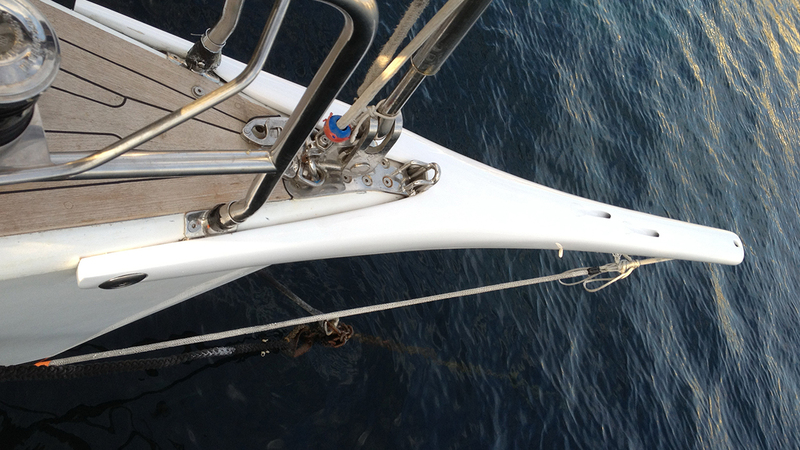 Fix your sails on hydraulic engine. 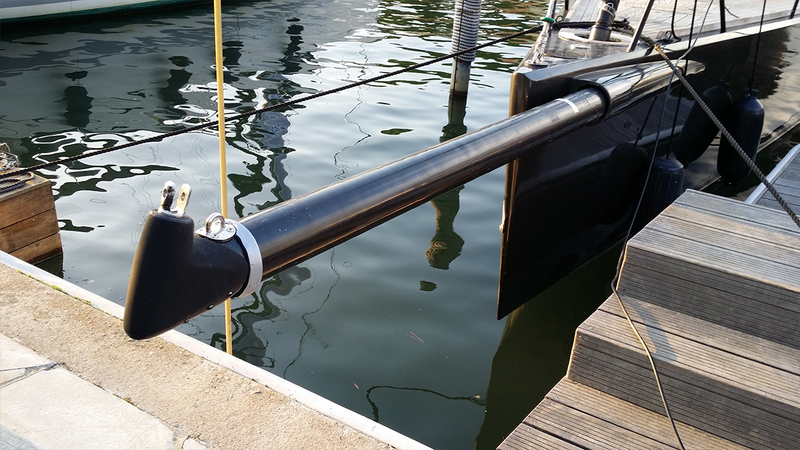 Extract the bowsprit (hydraulically or textile system – rope or hydraulic jack). 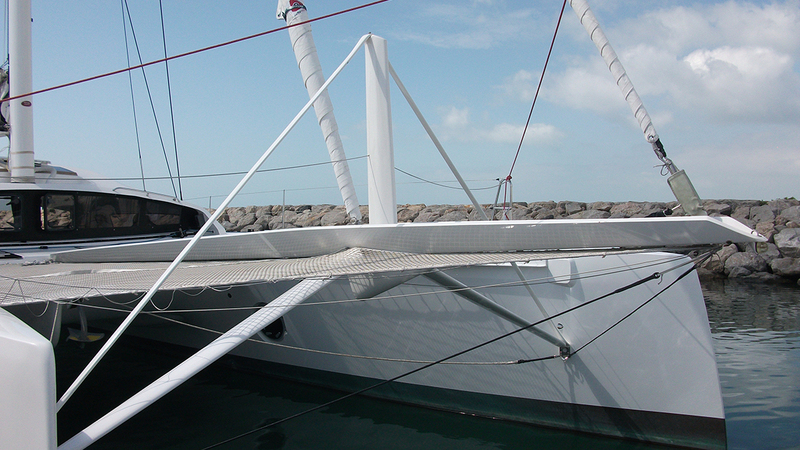 Sailing performance and also in the marina where you raise it to save yacht length. 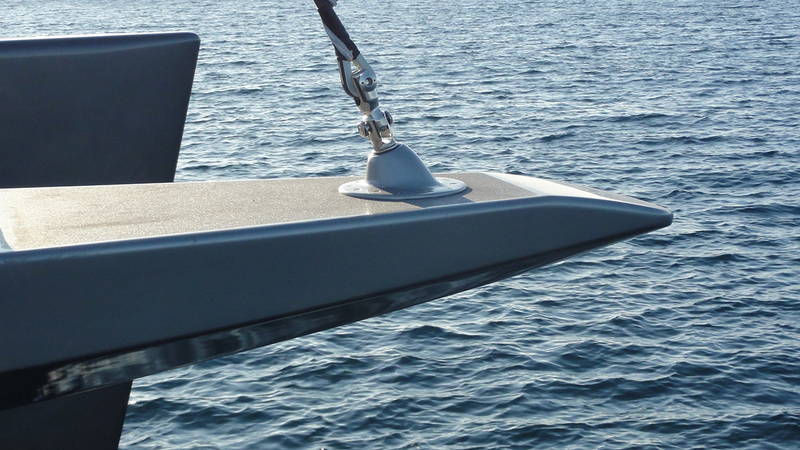 Bowsprit is probably the most successfull product on the market.